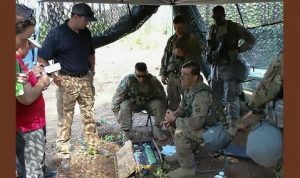 The U.S. Army Medical Material Agency (USAMMA) visited Fort Bragg and engaged with paratroopers from the 3rd Brigade Combat Team and the 82nd Airborne Division during a joint operational access exercise, called Operation Panther Shield. The Soldiers provided feedback to USAMMA after training and using the Saros Oxygen Concentrator. Saros is a Chart Industry product that will be distributed Army wide under the OGFP (Oxygen Generation Field Portable) contract that is held by Panakeia and ADS. The feedback from the Soldiers will help USAMMA in their efforts to improve the medical care our soldiers receive.